Dr. Powell is a caring and passionate dentist who thoroughly enjoys practicing the fine art of dentistry. He takes great pride in knowing that he's helping people and achieving the healthy, confident smiles they've always wanted. Dr. Powell stays up to date with the most current innovative technology, techniques and materials. He graduated from the University of Wisconsin with a Bachelor of Science. He then attended the University of Minnesota where he graduated with a Doctorate of Dental Surgery. Dr. Powell also attended the United States Dental Institute, receiving an Accreditation in Orthodontic Treatment and TMJ (TMD) Treatment. 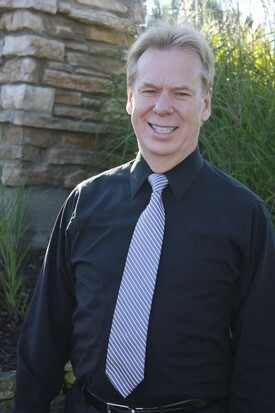 With a career spanning more than 30 years, Dr. Powell is an active member of the American Dental Association, Minnesota Dental Association, St. Paul District Dental Society, Academy of Head, Neck and Facial Pain, International Association for Orthodontics, American Association for Functional Orthodontics, Academy of Computerized Dentistry, American Academy of Sleep Medicine. Aside from practicing dentistry, Dr. Powell remains active in his local church, is a talented and accomplished musician, and enjoys spending quality time with friends and family. He also is an active volunteer for the Twin Cities Union Gospel Mission.